This web form is attempting to look like a Lehigh secure web page. 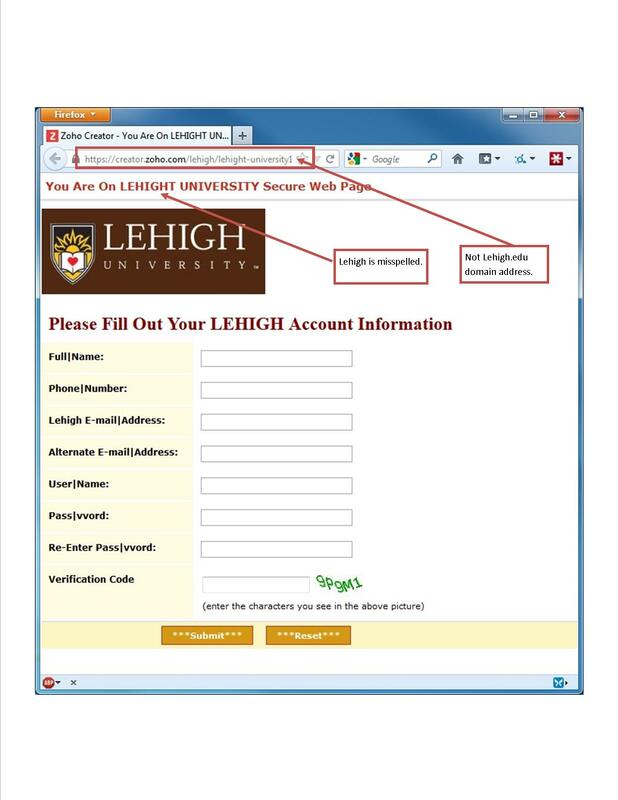 Note that the web address (URL) is not the lehigh.edu domain. There are also a number of misspelled words, including Lehigh.